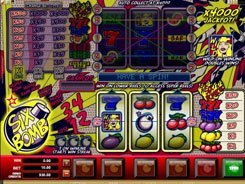 This Microgaming’s game enables you to play four, six or nine games at once on a single screen. 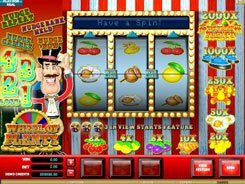 Each slot has 3 reels and 1 payline. 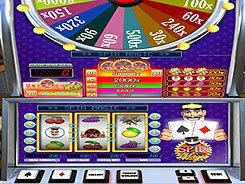 Any adjustments you make before a spin apply to all games on the screen. You can select a coin size from $0.1 to $5, with a maximum of three coins accepted per line. 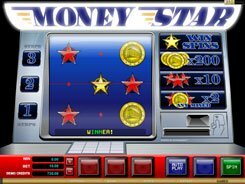 If you would like to play nine games at a time, your stake will range from $0.9 to $135. 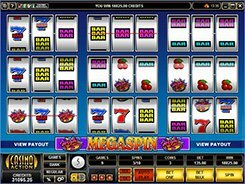 Mega Spin – High 5 is greatly inspired by Vegas-style slot machines, and its symbols include classic cherries, bars and sevens that pay out up to x180 times a bet. A wild is the only special feature in the game, and the most rewarding one. 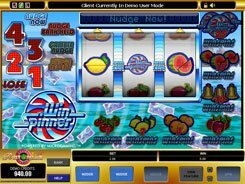 Hitting three wilds on a payline at a three-coin bet awards up to $75,000, and if that combination is created on a few slots at a time, you will pocket a truly great cash. 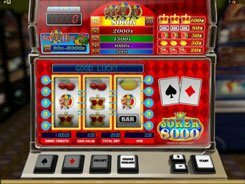 To sum up, Mega Spin – High 5 is a three-reel slot as such, yet it provides an abundance of excitement with even more chances of getting a winning combo. PLAY FOR REAL MONEY!